All shipping and packaging areas need the small stuff to make the job easier. Encore offers utility knives, film cutters, and other small tools to help get the job done! EP120 Budget retractable translucent box cutting knife. 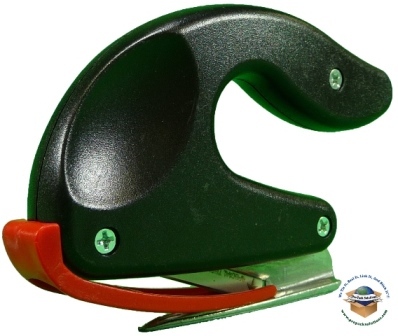 EP180 Retractable Extra Heavy-Duty Snap-off Knife offers a quick way to keep a sharp point. 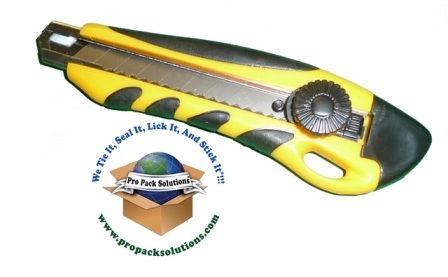 EP190 Retractable Knife with Scoring wheel helps cut boxes down to size. 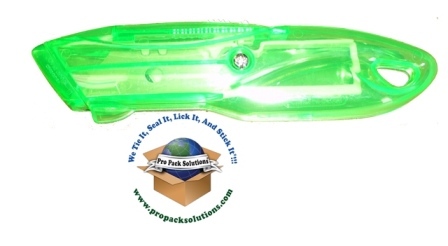 EP240 Self-Retracting Safety Knife offers a blade that retracts automatically. EP-260 Specialty Cutter - Slide Knife. Glides through bubble and foam smoothly. One button blade change. EP-780 Hand Inserts - 3" with build-in brake, easy rubber grip, teddy bear ears for roll stability. A great addition to manually dispensing stretch film.